(This product is being discontinued.) 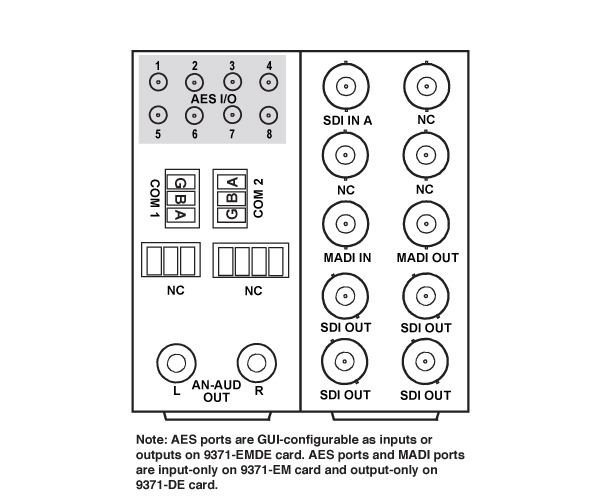 The 9371-EMDE offers a comprehensive solution for digital audio transport conversion and embedding/de-embedding. 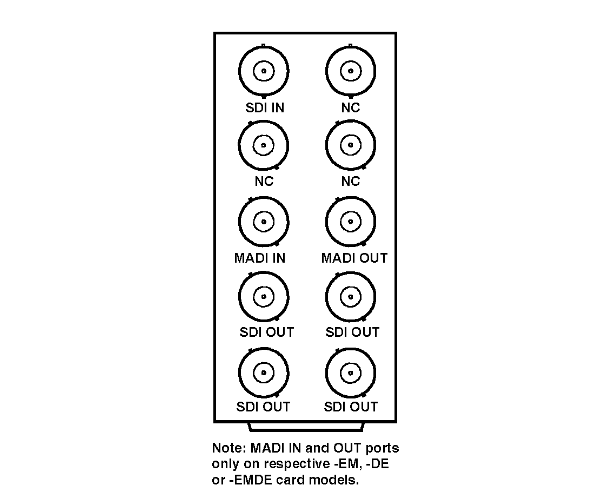 A full unrestricted audio crosspoint provides channel routing between any channels on an SDI stream, discrete AES-3id, and AES-10 MADI interfaces. Utilizing the openGear® open-architecture platform, the 9371 offers scalable incorporation and the easy-to-use DashBoard™ setup and control operator interface. Full user remote and card-edge monitor/control allows full card status and control access locally or across a standard Ethernet network. 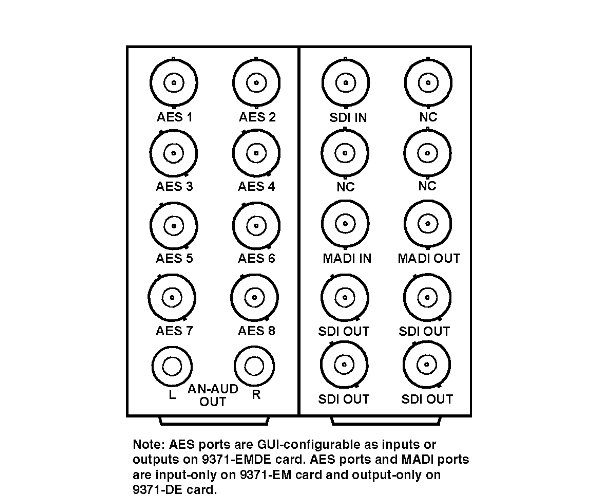 You are currently requesting a quote for 9371-EMDE.